The Suture Station is designed specifically for procedures that utilize only a small quantity of needles, providing a means for the running suture user to self-dispense and self-secure needles. 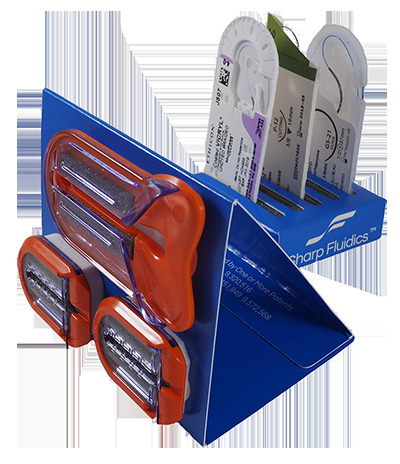 The Suture Station incorporates a suture pack caddy to hold up to 5 suture packs, and comes with pre-mounted Large and Small Traps. The Suture Station can be attached directly to the drape with peel and stick adhesive pads.